The other day, on our way to the library, Brad Paisley’s song Then came on the radio. Instantly, I was transported away from the brothers poking and burping and the baby cooing in the backseat to a beautiful reception hall, filled with family and friends. 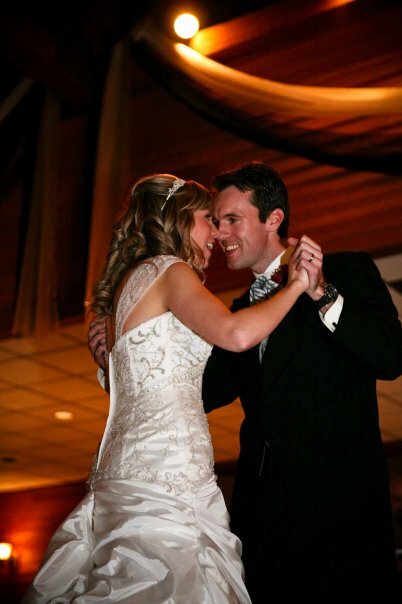 Every eye was on the couple in the center of the dance floor, twirling around, mesmerized by the love from the other. My brother Jonathan waited a long time to find Hannah. It had actually become a standing family joke, which of course, my oldest brother Shane made reference to in his best man speech. “Did you ever have a day,” he asked the crowd, “that you just thought would never come?”But it did. And as we watched Mr. and Mrs. Riddle glide around the dance floor, every guest present knew the wait had been worth it. What I love most about Jonathan and Hannah’s story, however, is not merely that they found each other. It’s that they prepared themselves for each other while they were waiting. Jonathan and Hannah both have their master’s degrees and pursued their dreams; Jonathan, as a business dude of some sort (I’ve never been able to figure out exactly what it is he and Shane do) and Hannah as a music teacher. She traveled to Australia, while he lived in Germany for a few years, seeing most of Europe, picking up nearly-fluent German and making friends from all over the world along the way.All those experiences made for some great memories and even greater life lessons. Those years were not wasted in the slightest, though I’m sure they both yearned at the time for the day when they would meet each other and begin the rest of their lives together. (On a side note, their patience didn’t last long once they got married, much to this aunt’s delight. Two new nieces made their appearance in quick order!). I’m talking about a little place called Aspen, where the beer flows like wine and the women flock like the salmon of Capistrano. No, totally joking. But if you get that reference to “Dumb & Dumber,” you’re my kind of reader. I love my job and am grateful that I can both write and stay at home with my babies. But I’ve been a writer longer than I’ve been a mother. So sometimes, my brain is so full of ideas and dreams and hopes for my career that I temporarily forget that I’m only a part-time writer but a full-time mother. I have dreams. I want to be the next Laura Hillenbrand, a non-fiction author who finds amazing stories from history and re-tells them in bestselling fashion. I want to write for ESPN and Sports Illustrated. I want to make enough money to fulfill Nick’s half-joking dream of living off a sugar mama someday. I want to ghostwrite, especially for athletes. I want to cause people to get off their couches and change the world through fostering, adoption and other forms of social justice.I’m constantly coming up with blog posts and article ideas — even lyrics for songs and lines for poetry. And sometimes, I’m so pregnant with inspiration that I feel like unless I get 20 minutes at the keyboard I might burst.It doesn’t help when all my writing friends are selling books, attending conferences, filling up magazines with their articles and traveling the world as they write about subjects they love. And I absolutely LOVE them. I love being a mom, I love staying at home and there’s no way under the sun I’d give up that role to a daycare provider.But I also love to write, and I want that, too. So that got me thinking about Hannah and Jonny. Jonathan has always had a unique sense of humor. Don’t let him fool you, he loves babies! 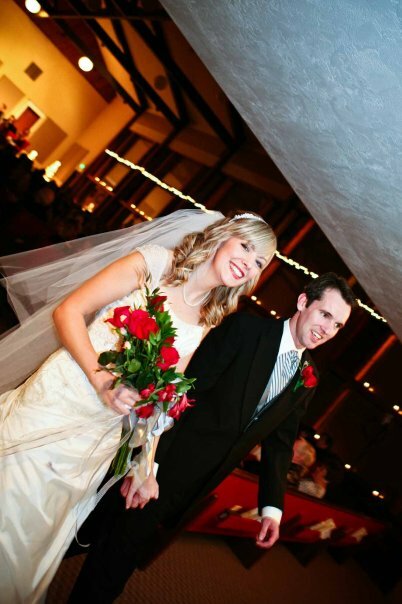 When they weren’t living out their dream of being married, they were still exactly where God wanted them. Marriage just came along a little later than originally anticipated. And when they did join their lives together, it was all the more sweeter because it was in God’s timing. A few years ago, I attended a writer’s conference where Mindy Starns Clark was the keynote speaker. I don’t remember all of her speech, but I do remember one line word for word: If you have small children at home right now, then now is not the time to be writing your novel.She’s right. It’s not. And I’m trusting that my years spent at home shepherding little ones into adulthood will pay off in so many ways. Because not only am I growing my children — I’m growing me. And that can only serve to make me a better writer when someday, my kids leave me alone for more than three minutes. Because every day, I am writing words upon the hearts of three precious souls. It is up to me to make sure they are words of wisdom, love, justice and goodness. And it is those books — not anything that will ever end up on a store shelf — that determine whether I lived up to my calling as a writer.